Imagine a world where auto mechanics learn to wrench on virtual cars. Carpet layers stretch virtual shag, gardeners trim virtual trees. These are just some of the training scenarios possible if Matthew Wallace has his way. As CEO of VRSim, East Hartford, CT, Wallace spends his days developing tools for the virtual classroom. SimSpray helps students learn the basics of abrasive blasting and spray painting before ever entering a paint booth. SimBuild teaches practical construction knowledge without having to climb a ladder or wham your thumb with a hammer. 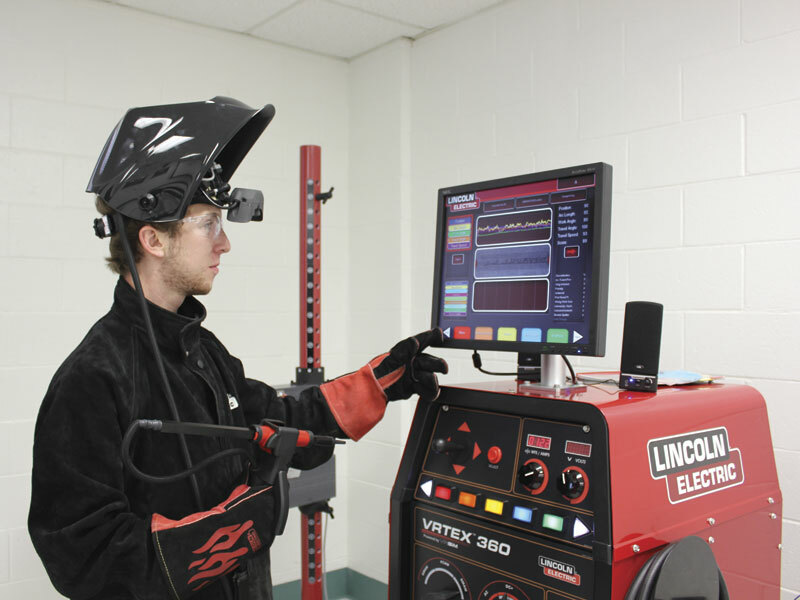 VRSim is also the developer of Lincoln Electric’s VRTEX, a product that reduces training costs while developing sound welding skills, in an environment free of sparks, heat and smoke. “Today’s training needs to be done differently than it once was,” Wallace says. “You can’t rely on people to read a 50-year old textbook and then take a test. That’s why we do what we do.” What VRSim does is work with industry experts to develop software that simulates real life. Sight, sound and touch are accurately represented as the student operates a spray gun, abrasive blaster or welding gun. This isn’t just pretty graphics and some sound effects. Wallace explains that VRSim uses an electromagnetic motion system from Polhemus Corp, Colchester, VTt., to generate and track magnetic fields within the simulator, giving them the ability to measure head and hand positions within 0.5 mm. Gun angles, operator position, material parameters—all are monitored in real-time and the results relayed to a computer for immediate feedback to the student. This entry was posted in Equipment and Tooling, Fabricating and tagged lincoln electric, shop metalworking technology, virtual training, VRTEX. Bookmark the permalink.